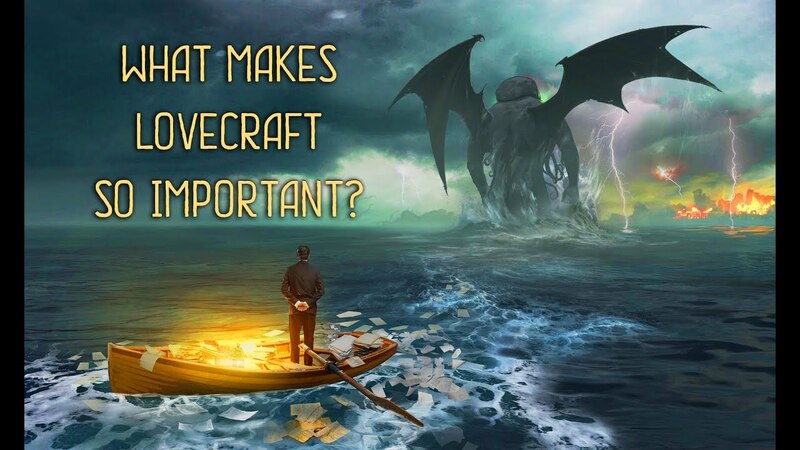 Cthulhu is undoubtedly cool, but he is far from being the only pillar of Lovecraft’s undeniable importance as a writer. And if you ever wondered about what exactly makes him so influential, the answer is here! This video aims to introduce H.P. Lovecraft to the people who aren’t familiar with his works. Russian, French and German subtitles included. the most influential horror writers of all time. His novels have had a tremendous impact on a huge chunk of the genre: literature as well as cinematography and video games. and appealing. Lovecraft is known as the father of cosmic horror, at that time, a new category in the horror genre. It emphasizes the insignificance of humankind in the cold and fundamentally alien universe. According to Lovecraft, humanity is but a tiny ignorant substance in space, and there is a myriad of other beings, far more powerful and ancient. Some of these beings are so monumental and supreme that their very existence goes far beyond our comprehension. By the way, Cthulhu, undeniably the most popular of the Lovecraftian creatures, is one of these god-like entities. Thankfully, the absolute majority of us – and by us I mean people – have no idea they even exist. Very few have ever had a chance to discover them, and these discoveries have always ended badly. Not because these great old ones hate humans and want to see them dead, no! In fact, there’s absolutely no indication that they even have feelings, desires or motivations. And it might very well be that they actually transcend all that is relatable and natural to humankind. If you love what you see and want to learn more about The Sinking City, please visit our social media pages. There, you will find frequent updates on the game, including gameplay trailers, developer updates, concept artworks and other beautiful items that we create along the way.